The weather forecast in Madison is calling for a strong chance of heavy rain and thunderstorms on Friday during the late afternoon and evening. 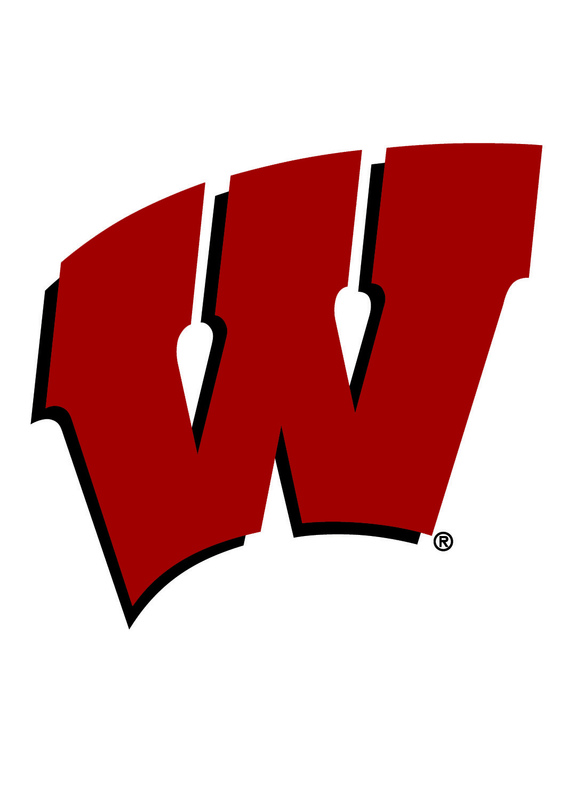 The Wisconsin Athletic Department has decided to cancel Friday’s Spring Football Game, which was set to start at 6 p.m. The game will not be rescheduled. Fans who purchased tickets for the Spring Game in advance will receive refunds. Those who purchased tickets with a credit or debit card will have their purchase automatically refunded. No action is required. Wisconsin’s first-ever meeting with Florida Atlantic will kick off at 11 a.m. (CT) on Saturday, Sept. 9. Big Ten Network will air the first matchup between the Badgers and Owls live from Camp Randall Stadium. Friday, Sept. 1 vs. Utah State 8:00 p.m.
Saturday, Sept. 9 vs. Florida Atlantic 11:00 a.m.
Saturday, Sept. 16 vs. BYU 2:30 p.m.
Saturday, Oct. 21 vs. Maryland 11:00 a.m.
Saturday, Oct. 28 vs. Illinois 11:00 a.m.
Wisconsin legend Pat Richter is the first honoree named to the Camp Randall 100. The Madison native is a former Badgers All-American, College Football Hall of Famer and longtime UW Director of Athletics. The Camp Randall 100 is part of Wisconsin Athletics’ year-long celebration of the 100 years of Camp Randall Stadium. The list is made up of 100 individuals who shaped the first century of the iconic stadium. A new member of the Camp Randall 100 will be revealed each day leading up to Wisconsin’s season opener against Utah State on September 1. 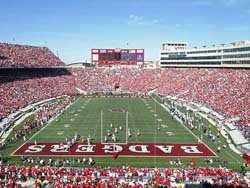 The 1oth-ranked Wisconsin Badgers play their home opener on Saturday afternoon, taking on the Akron Zips in a 2:30 p.m. kickoff at Camp Randall Stadium. The Badgers are looking to improve in the ball security department after turning the ball over three times against LSU in the opener. Two of the three turnovers came off interceptions from senior quarterback Bart Houston. The first came in the end zone, which took points away from the Badgers. The other was returned for a touchdown, which gave points to the other team. It’s been a while since the Wisconsin Badgers have played a game under the lights at Camp Randall Stadium. Five years as a matter of fact. That has changed this season with the Badgers set to play both Ohio State and Nebraska in prime time. The Badgers will host the Buckeyes on October 15 (7 p.m. CT) and the Huskers will make the trip to Madison and will kick off with the Badgers on October 29 (6 p.m. CT). Both games will air on an ESPN network yet to be determined. The ESPN announcement of its prime time lineup brings conference night games back to Camp Randall for the first time since 2011. That’s when Wisconsin rolled to a 48-17 win over Nebraska in the Huskers first-ever Big Ten game. The Badgers also knocked off top-ranked Ohio State 31-18 under the lights in 2010. The Badgers are 12-4 all-time in night games at Camp Randall, including a mark of 6-3 against Big Ten opponents. The Big Ten Network announced today that the Wisconsin Badgers’ Sept. 26 meeting with Hawaii will air in prime time on BTN. A specific kickoff time will be announced at a later date. The matchup will be UW’s first prime time game at Camp Randall Stadium since a 16-14 win over Utah State on Sept. 15, 2012. Wisconsin has won five straight night games at Camp Randall and is 12-5 all-time at night on its home field. Today’s announcement of prime time games includes those only to be aired by BTN. Prime time selections by ABC, ESPN and ESPN2 will be announced in the near future. The matchup against Hawaii is the final non-conference game on the Badgers 2015 schedule. touse their smart phones and other electronic devices to connect to the internet during Badger football games. The UW-Athletic Department announced the project this week, in conjunction with AT&T to bring the added convenience to fans at Badger games. The $6.2-million project is scheduled to be completed in time for the 2014 home season that starts on September 6 against Western Illinois. The University said fans will have access to the internet regardless of their stadium location. Thursday & Friday, Nov. 21-22 Camp Randall Stadium, Madison, Wis.